Tips and tricks to care for your toddler or young child. Did you know that children’s hair is thinner than adults’ and still developing until around the age of 12? That’s why we developed a haircare range that is specially designed to be gentle versus regular adult products while still providing the advanced benefits that growing children’s hair needs. Our range provides the efficacy you need to unlock knots, boost shine and strengthen hair without compromising on mildness. 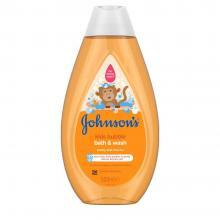 Designed to be 100% gentle and free from parabens, sulphates, and dyes. 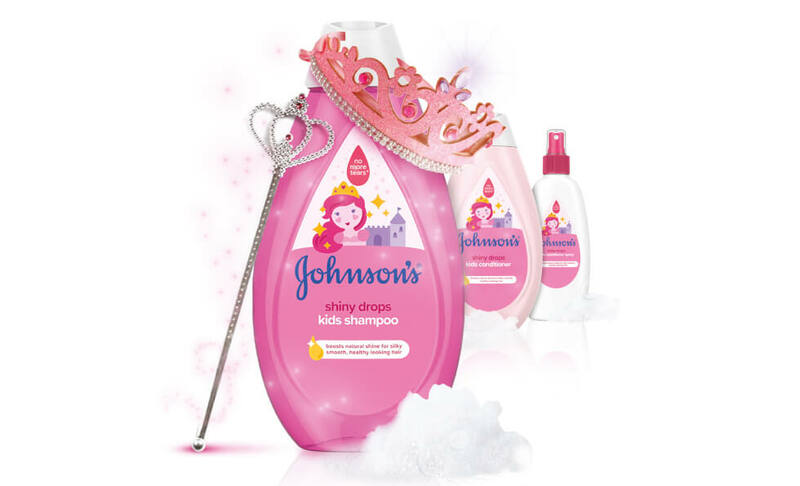 Our JOHNSON’S® Shiny Drops Kids Haircare range is enriched with a drop of argan oil and boosts natural shine for silky smooth, healthy looking hair. 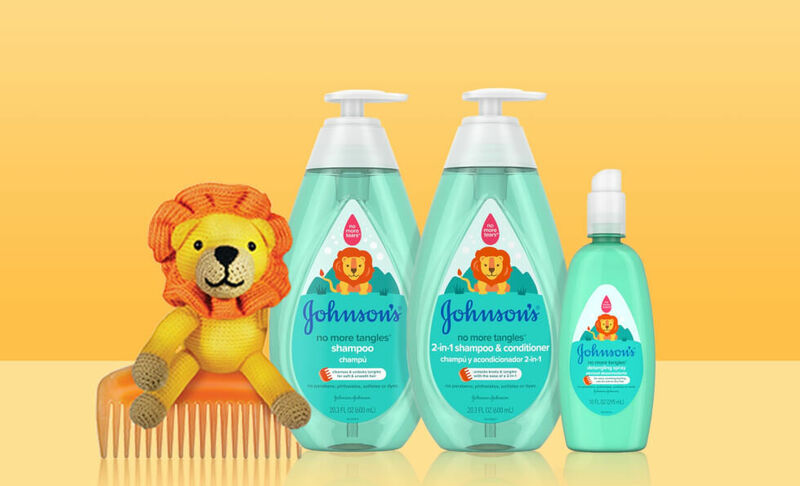 Our JOHNSON’S® Strength Drops Kids Haircare range is enriched with Vitamin E and designed to help strengthen hair for less breakage, leaving it strong and feeling healthy. Our JOHNSON’S® Pure Protect Kids Wipes, enriched with green tea, honey and rooibos extract, wipe away dirt and 99.9% of germs* while protecting delicate skin from dryness. 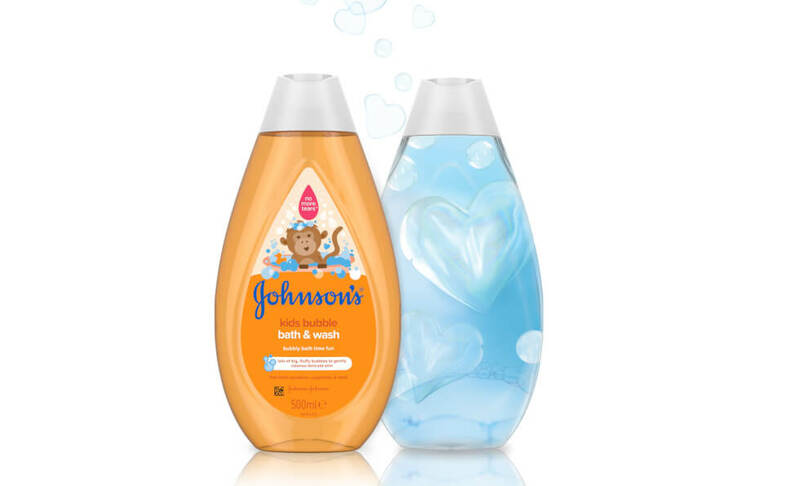 Our JOHNSON’S® Kids Bubble Bath and Wash is specially designed with lots of big, fluffy bubbles to gently cleanse delicate skin whilst making bathtime fun. Our simple 3-step hair care routine makes caring for your little one’s hair quick and painless for both of you! Watch below for some tips and tricks for your toddler’s tangles. 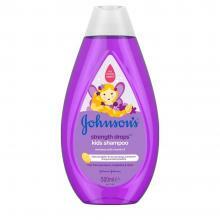 Cleanse baby or toddler hair using JOHNSON’S® No More Tangles™ shampoo for straight or curly hair. 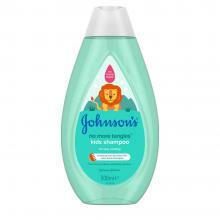 Nourish baby or toddler hair using JOHNSON’S® No More Tangles™ conditioner. 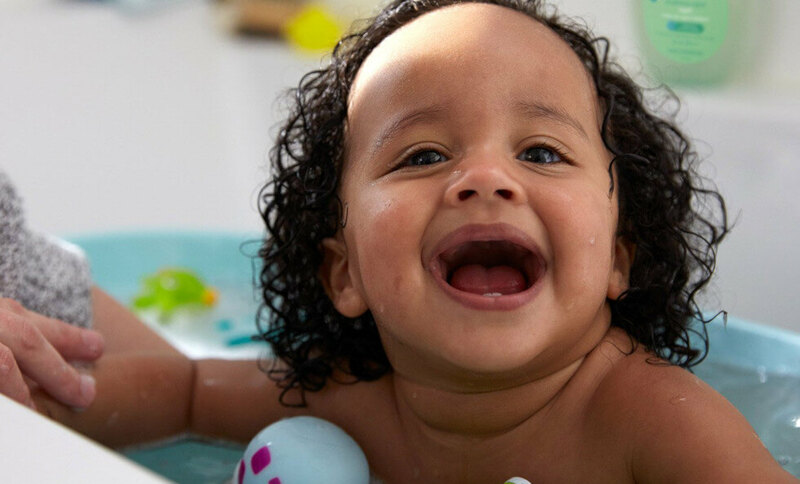 Style baby or toddler hair using a wide tooth comb or brush and JOHNSON’S® No More Tangles™ detangling spray.